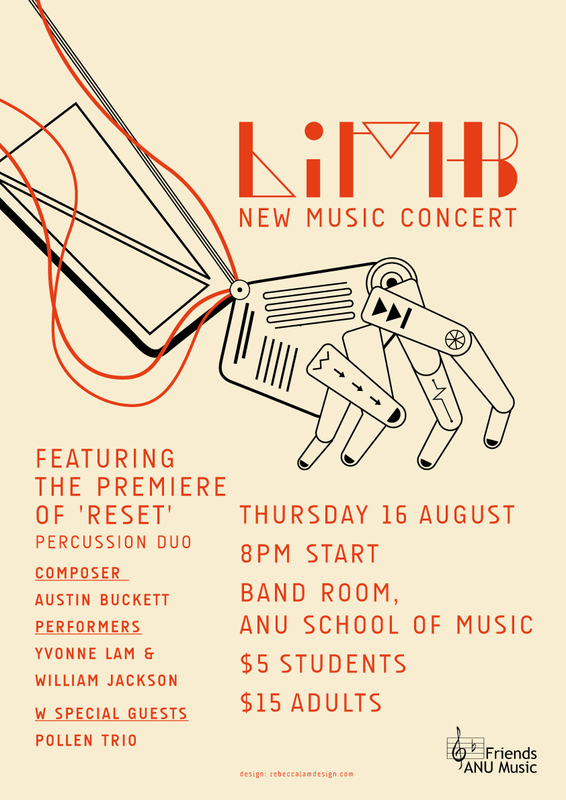 This Thursday the 16th of August, some of Canberra’s best young percussionists are getting together to shake, rattle and roll out an evening of new music titled, Limb. Percussionist Yvonne Lam (also drummer with Canberra experimental rock band Mornings) has programmed a concert of new music from some of Australia’s most exciting composers.The highlight of the evening promises to be the premiere of Reset for percussion duo and field recording, composed by Austin Buckett (Pollen Trio, Kasha) – a piece commissioned by Lam. 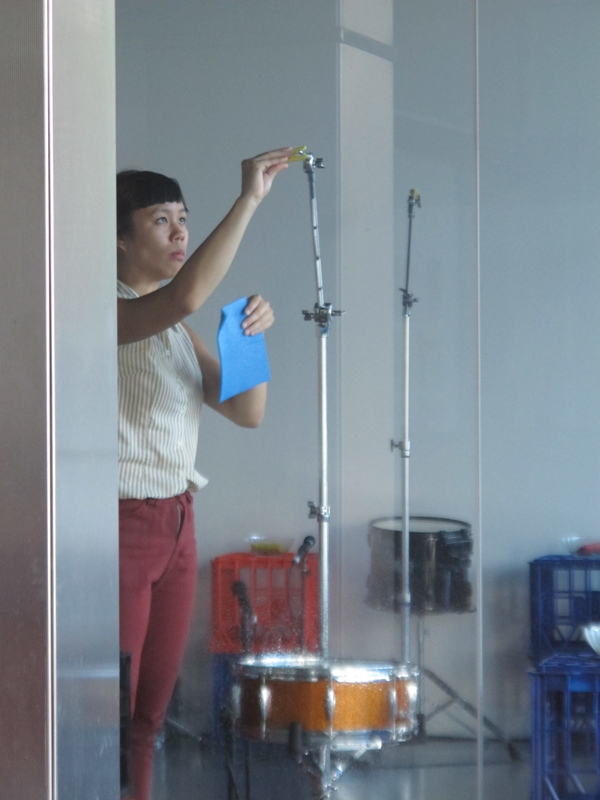 While making coconut tapioca in the office we wish we had, Scissors Paper Pen dropped Yvonne a line, and held a get-to-know-you-and-your-instrument. SPP: You’ve been involved with curating musical events as part of You Are Here festival before, and now this — what is it about collating musicians, particularly young musicians — that grabs you? Yvonne: It’s no secret that being a musician is not the easiest career. The opportunities for performers are not the same as they were decades ago – there is much less work available now. The onus on this generation of young musicians is to create their own work – and by that, I don’t necessarily mean writing their own pieces and such, but actually forging their own opportunities to perform to an audience. Although I come from a ‘classical’ background, the concept of LIMB was inspired by the jazz students from the School of Music. I noticed a lot of the students forming their own ensembles, setting up their own gigs – it is a far more proactive and self-sustainable attitude that I find really lacking in the classical genre. Also, from playing with Mornings (note: I drum with this band I guess we play experimental, noise-ish rock music), the indie band culture in Canberra also operates in this great network of bands being chummy with each other, organising gigs together, and pulling regular crowds. If jazz cats and hipsters can do it, then I can as well. The cornerstone of LIMB is a new piece written by Austin Buckett. To me, Austin exemplifies the cross-genre, multi-talented person that successful young musicians need to be. He plays with Kasha and Pollen Trio, and also composes music for conventionally classical instruments, but dabbles with them in extremely unique ways. As friends as well as colleagues, I think its lucky that we can workshop ideas in a way that’s simultaneously professional and personal. Also, I would really like this method of collaborating with other young performers and composers to continue, because it’s within this self-sustaining network that contemporary music will continue to thrive. SPP: Percussion is an interesting professional pursuit — we don’t often think of it as a full-time option — what does being a percussionist involve, and how broad is the repertoire? Yvonne: You know in School of Rock, when the naughty kid plays percussion, and all the other kids in the class are like, “It’s because he can’t play anything else!”? Well, that’s how I feel a lot of the time. Without being snooty, percussion is a pretty misunderstood instrument. It can range from orchestral repertoire, marimba and vibraphone solos, to more experimental sounds for ensemble playing – much like what you’d hear in Reset. At various stages of the work, we rub sandpaper on amplified snare drums, and hit small glass bottles with plastic beaters. As a percussionist, you have the option to be whatever sort of musician you want to be. SPP: Finally, where do you think the balance lies between percussion, and using spoken word: is there a venue for the marrying of these two things? Yvonne: Percussion is inherently rhythmic instruments, and so has a lot in common with the rhythms and flows of spoken word. Actually, in the LIMB concert, I’ll be playing a piece by which involves a set of drums with a tape accompaniment of Vietnamese news bulletins. The idea of the piece is to emulate, or expand on, the rhythmic motifs that come out of the Vietnamese speech rhythms. It’s pretty great. So you should come.